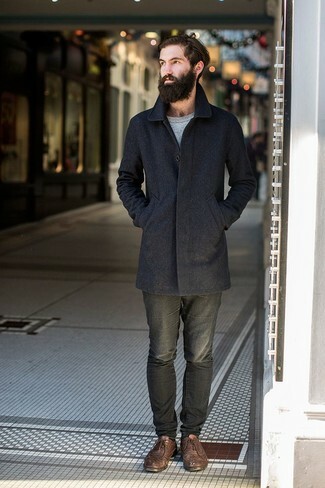 Inject personality into your day-to-day wardrobe with a Harris Wharf London Single Breasted Coat and charcoal jeans. To introduce a bit of depth to your outfit, add brown leather brogues to the equation. Choose a Harris Wharf London navy overcoat and black vertical striped dress pants if you're going for a proper, stylish getup. 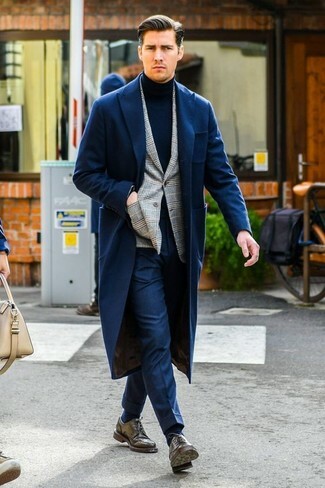 Add a pair of black leather loafers to the equation et voila, this getup is complete. 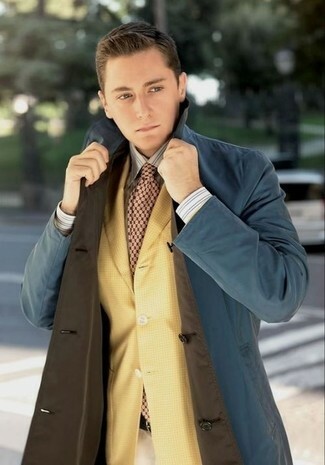 Pairing a Harris Wharf London Single Breasted Coat from farfetch.com and a yellow blazer is a surefire way to inject your styling repertoire with some manly sophistication. 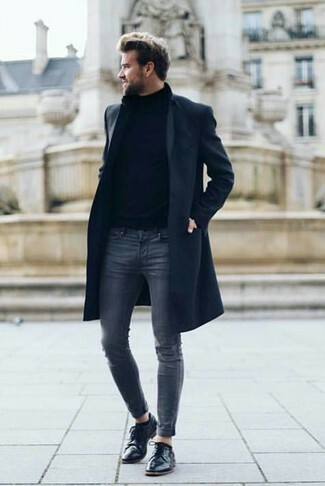 Loving the way this pairing of a Harris Wharf London Single Breasted Coat and black dress pants instantly makes men look dapper and elegant. 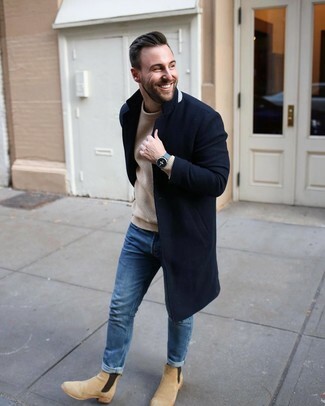 A Harris Wharf London Single Breasted Coat and navy chinos are absolute essentials if you're planning a refined closet that matches up to the highest menswear standards. Introduce a laid-back touch to by finishing with red suede low top sneakers. 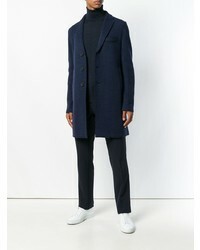 Choose a Harris Wharf London Single Breasted Coat from farfetch.com and blue jeans to look classy but not particularly formal. Jazz up this ensemble with a smarter kind of footwear, such as these beige suede chelsea boots. 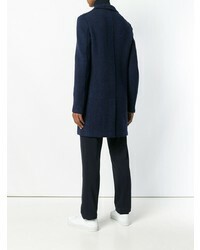 A Harris Wharf London Single Breasted Coat from farfetch.com looks so refined when matched with navy dress pants for a look worthy of a modern gent. Dark brown leather derby shoes will instantly tone down an all-too-refined look. 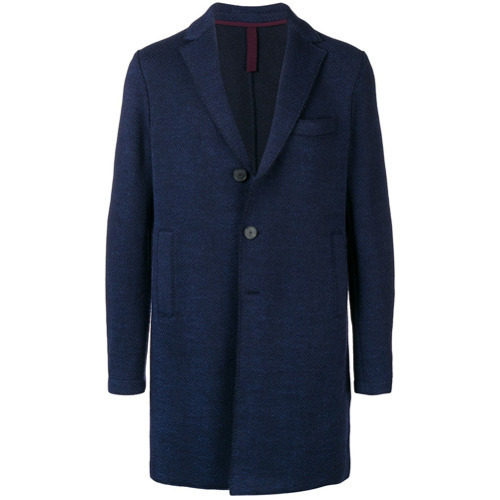 The combo of a navy overcoat and navy skinny jeans makes this a knockout relaxed ensemble. Round off with a pair of black leather derby shoes to upgrade your ensemble. 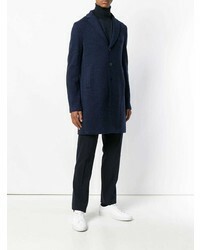 Team a Harris Wharf London Single Breasted Coat from farfetch.com with a grey suit - this look will certainly make an entrance.